Rowan Ellway is a young college president; Easter Blue, an impassioned student leader. Upon graduation, she takes a fellowship to Africa, and they lose touch. When, decades later, they meet again, they discover that their prior bond was but a rehearsal for the world stage. THE ROWAN TREE reaches from the tumultuous 1960s into humanity’s future, encompassing the worlds of politics, sport, ballet, presidential leadership, and world governance. An international cast of characters personifies the catalytic role of love in political change. 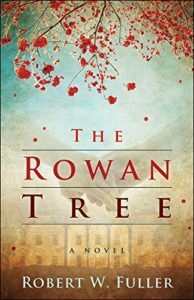 Replete with illicit loves, quixotic quests, and inextinguishable hope, THE ROWAN TREE foretells a dignitarian world much as the story of King Arthur and the round table sowed the seeds of democracy.